6.00-8.30pm: Reading with Mimi Khalvati, Alison Brackenbury, Claire Crowther and Lee Jing Jing, followed by an open mic. £5. In this workshop, we will explore this mysterious relationship of form and content. We will look at poems in draft by established writers and others; focus closely on lineation in free verse, do practical exercises and discover many ways of finding the optimum form, and thereby the poem itself, in its most complete manifestation. Every poet is faced with the dilemma of how to shape and develop a draft, how to use line breaks, how to transform rough material. Hopefully we will come up with some surprising answers! Mimi Khalvati was born in Tehran, Iran. She grew up on the Isle of Wight, where she attended boarding school from the age of six, and has lived most of her life in England. She trained at Drama Centre London and has worked as an actor and director in the UK and Iran. She has published eight collections of poetry with Carcanet Press, including The Weather Wheel, The Meanest Flower, a Poetry Book Society Recommendation, a Financial Times Book of the Year, and shortlisted for the TS Eliot Prize and, most recently, Child: New and Selected Poems 1991-2011, a Poetry Book Society Special Commendation. Her work has been translated into nine languages and she received a Cholmondeley Award in 2006. She is a Fellow of the Royal Society of Literature. 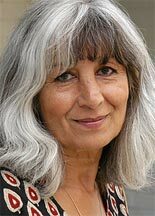 Mimi is the founder of The Poetry School and was the Coordinator from 1997–2004. She is a core tutor for the School and has co-edited its three anthologies of new writing published by Enitharmon Press. She is also a freelance poetry tutor and has worked with arts organisations such as the Arvon Foundation and the South Bank Centre and has taught at universities in the UK, Europe and America. St. Hilda’s College, Cowley Place, Oxford OX4 1DY. There are limited parking spaces. The station is a short bus or taxi ride from the college. For the more energetic it can be reached on foot in approximately 25 minutes. Arrive at the Lady Brodie Room, St. Hilda’s College from 10.00am onwards. The Day School starts promptly at 10.30am and finishes at 4.00pm. Please bring a packed lunch. Tea and coffee will be provided. Please email jennyklewis@gmail.com. Cancellations up to seven days before the event will be fully refunded. Up to 24 hours before the event will be half refunded.